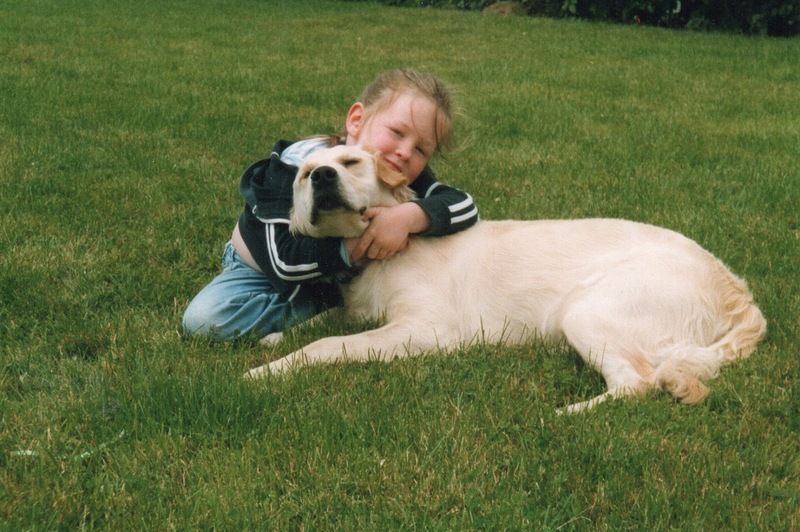 On the 10th of April, seven days before my birthday, I had to say goodbye to my best friend. This best friend wasn't a being on two legs but a four-legged friend, my 14-year-old Golden Retriever Buster. It sucked, simple as but she had lived a happy healthy life apart from the last year where she had a lot of vet visits and was on lots of meds. She was a family pet and arrived at my house a week before Christmas in 2003. I don't remember life without her. My Mam recalls me pointing to every dog related thing in supermarkets and saying we'll need that soon. I remember getting her though, she was in a rabbit cage in between my brother's and I's booster seats. We got her from a family friend who's dog just had puppies even though it wasn't really the right time to get a puppy, there was a newborn in the house, my parents still decided to get here. She grew up with us, from chewing the television aerial to some of our toys. She got into a strangers wedding photos when we were walking in a park. I don't know how they turned out or where they are. As the years went on, we brought here with us to relations houses so you could say she was a pretty well-travelled dog. She has been gone across the country and even went on the DART which was probably one of the funnier experiences. I never realised how unusual it was to call a girl Buster but really we had the name picked before the dog. My brother and I picked the name from a storybook that we were obsessed with that contained the line 'Buster is getting old' but if you ask my Dad he'll say she was named after the band Busted. When she passed it was the little things that really hurt. No barking at the door for food, no one to chase the neighbour's cat, no large dog mats in the kitchen and one less person to say goodnight to. We spent the evening watching old videotapes in hope that Buster was in a few. We found two and I've watched it 3 times since. It didn't happen at a great time, her passing, it was the start of the two weeks of my Irish and French orals and my Music practical. I didn't go to school at all the week after apart from going in on Thursday evening to do my Irish oral. The only advantage was I was away from the tension of the Irish oral. I don't know will we get another dog, we have discussed it but we know now isn't the best time. I also don't have very much say in the matter as I'll be in college in September. I would love to get another dog down the line but for now, if I get to see anyone's dog at all it makes my day. This was a first major loss as apart from my Grandad, who died when I was eight. I have never cried so much in my life. It's been so hard especially with exams coming up but at least I have an excuse if I don't get the points I wanted. It's been so hard but it's gotten easier over time. Losing a dog can sound so trivial to people who don’t have pets, but dogs are such a big part of your life and support system that it really breaks your heart. 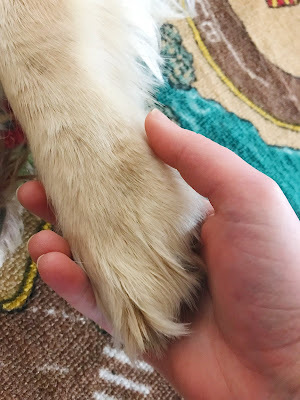 I’ve lost two dogs in the past (so I know what you’re going through. We got a new dog after we lost our previous one, and I was very opposed to it at the time but it was exactly what I needed, and I wouldn’t be without my 5-year-old puppy! Also about the name thing, we have a girl called Charlie and everyone thinks it’s weird so i guess we’re in the same boat with that! Thanks for commenting Amanda! It means a lot. Thank you so much for commenting Nicole! It was like losing a family member but I will treasure the memories forever.